Knowing which conservatory to go for is always a struggle for anyone, however. Many customers that we have had the pleasure of coming across is certain that they want traditional English conservatories.  At Crown Windows in Banbury, we have only the best designed conservatories to suit the interior of your home. What conservatories can I have? All of these conservatories are a traditional favourite for many. They fit any home, and we will adjust them to any size and fit. Whichever conservatory you may decide to choose, the are all fitted with “A” rated, energy efficient windows, just to add that little touch! Choosing which type of conservatory to go for is a tricky task. That is why, we are here to help you every step of the way. The most ‘traditional’ type of conservatory which we offer is the, ‘Victorian Conservatory’. A classic design amongst them all, you will find this type in many old and Victorian style houses. If you are looking to stay with the times, and to keep this unique, precious design. Then we would definitely recommend you going for this one. Crown Windows started off as a small family run business, we too love to keep the traditional look to our home. Understanding ourselves the difficulty and importance of getting the interior and exterior design of your home right, and especially to your taste. Myself and my team are here to help you through the way. If you’re in the mix of thinking about whether to extend your home further and create a conservatory. Then look no further than us, we have only the friendliest and enthusiastic team of builders on board to ensure that you are 100% satisfied with the service and final design that you have been given.